ULTRA RARE SILKWOOD II MODEL OVER-LOOKING WETLANDS IN PREMIER 55+ COMMUNITY OF LEGACY OF LEESBURG. FULLY CUSTOMIZED AND STUNNING, THIS 2 BEDROOM / 2 BATH PLUS DEN HOME HAS EXTRAS YOU NEVER KNEW YOU WANTED. FROM SOLAR PANELS TO A TANKLESS WATER HEATER, THIS HOME HAS ENERGY EFFICIENCY AT THE TOP OF THE LIST. 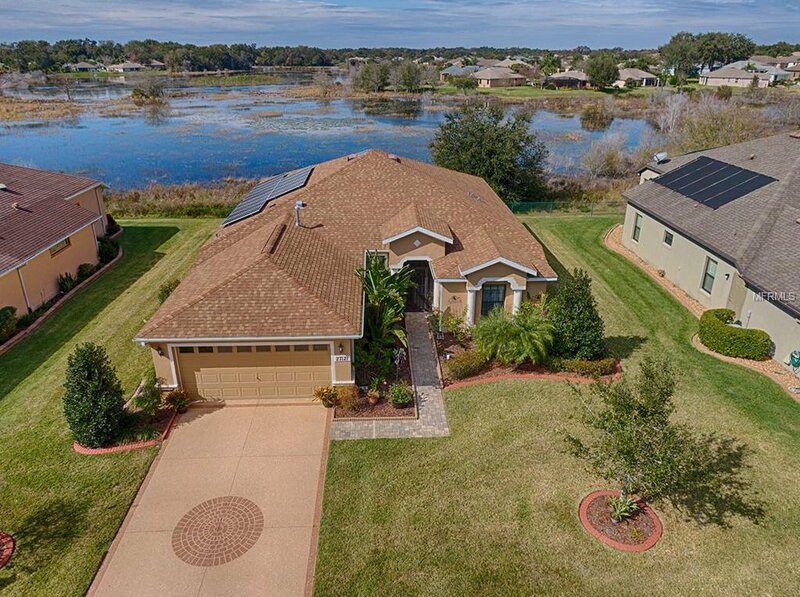 WAKING UP TO THE SOUNDS OF NATURE AND SITTING ON YOUR EXPANDED LANIA WITH YOUR COFFEE AND NEWSPAPER WILL REMIND YOU OF WHY YOU WANT TO LIVE IN FLORIDA. LEGACY, WITH OUR NUMEROUS CLUBS AND ACTIVITIES, WILL KEEP YOU AS BUSY AS YOU WANT TO BE. FROM INDOOR GAMES SUCH AS BILLIARDS AND CARDS TO OUTDOOR GAMES LIKE PICKLEBALL AND BOCCE, THERE IS ALWAYS SOMETHING GOING ON. COME AND ENJOY LIFE IN LEGACY — WHERE NEIGHBORS BECOME FAMILY! !